Washington Post reports Trump went to extraordinary lengths to conceal details of his conversations with the Russian President. US President Trump went to extraordinary lengths to conceal details of his conversations with Russian President Vladimir Putin, The Washington Post reported on Saturday, citing current and former US officials. According to the report, on at least one occasion Trump took possession of the notes of his own interpreter and instructed the linguist not to discuss what had transpired with other administration officials. Trump did so after a meeting with Putin in 2017 in Hamburg that was also attended by then-Secretary of State Rex Tillerson. US officials learned of Trump’s actions when a White House adviser and a senior State Department official sought information from the interpreter beyond a readout shared by Tillerson. 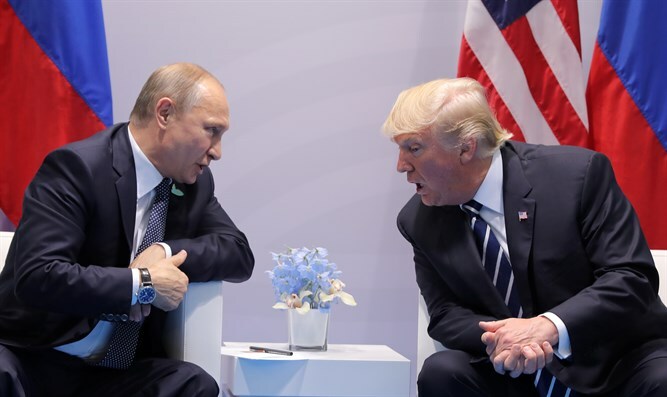 US officials said there is no detailed record, even in classified files, of Trump’s face-to-face interactions with the Russian leader at five locations over the past two years. Former US officials said that Trump’s behavior is at odds with the known practices of previous presidents, who have relied on senior aides to witness meetings and take comprehensive notes then shared with other officials and departments. The Washington Post report surfaces hours after a New York Times report alleged that the FBI opened an investigation into whether Trump may have been secretly working as an agent for Russia. According to the report in the Times, the FBI had opened the secret probe a few days after Trump dismissed FBI chief James Comey in 2017. The investigation against Trump was also conducted within the framework of the general investigation into Russian involvement. The report stressed that the investigators had had not found any evidence suggesting that Trump was working in tandem with Moscow. Nevertheless, Congressman Jerrold Nadler (D-NY), Chairman of the House Judiciary Committee, said on Saturday that the Judiciary Committee will look into the Times report. “In the coming weeks, the Judiciary Committee will take steps to better understand both the President’s actions and the FBI’s response to that behavior, and to make certain that these career investigators are protected from President Trump’s increasingly unhinged attacks," said Nadler.